This book is about an aspect of mediaeval Arabic culture and literature known in Arabic as mujùn (roughly 'libertinism, licentiousness, frivolity, indecency, profligacy, shamelessness, impertinence', etc. ), a concept that students of mediaeval Arabic texts may find rather hard to define but which is a recurrent term and a widespread phenomenon in mediaeval Arabic literature, and probably common in real life. 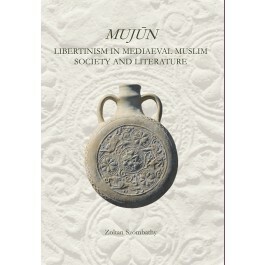 The social implications and the background of mujùn are focussed on in an attempt to learn what the popularity of mujùn during a specific period of the mediaeval Middle East can tell us about the society and the culture that produced such works. It is a study of the society in which such literature flourished, of the values and norms of that society, and of the májin (the man who does or writes mujùn) rather than of mujùn in itself. The author uses many excepts from primary source texts to explore the nature, concepts and content of mujùn, including its vernacular language, religious irreverance and not infrequent indecency of subject matter, within its socio-religious context. It provides a critical inventory of the varied motifs of mujùn in literature so as to define this elusive term by way of an accumulation of concrete examples.